By Jarrett L. Perdue Sr. The title of this narrative on Empowerment is talking about Our Finances. This means that the responsibility concerning our personal finances is totally ours. We will talk about personal finance. The great concept about our personal finances is that we are in charge. You are able to become empowered with your personal finances because you know what finances you have coming in and what payments are going out. The responsibility is your own to plan, save, protect and invest your money. You can evaluate, create a plan, set your goals, accomplish, oversee and track the things that you want to do with your own money. Intelligence about your finances, means understanding your money and its benefits and finding professional people, businesses, firms, and companies that are experienced and have expertise in the area of financial acumen. 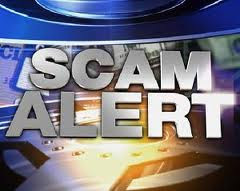 Too many times people are depending on other people who are scam artists under the guise of telling you they have your interest at heart, how to spend your money and what to do with your finances. This is why so many money making schemes are successful. Money making schemes like the Ponzi Scheme, Pyramid Scheme, Multi-Level Marketing Schemes, Religious Investment Schemes, and E-mail Scams. These all fall under the heading, “Get Rich Quick Scheme.” These are all Fraudulent Investments. Of course the heads of the schemes and scams will never tell you that. The continued flow of money from people who believe they will one day become rich, keeps the scams going and financially afloat. 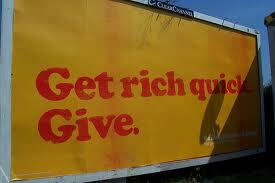 There is no quick way to get rich. Some would argue that if you play the Lottery and win, you can get rich quick. Let's think about this. 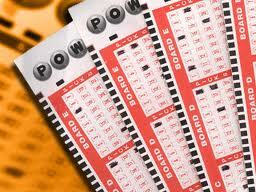 Studies show a person's chances of winning a state lottery are 18 million to 1. Multiple state lotteries are in the area of 120 million to 1. 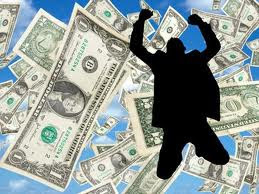 Studies also show that of the Lottery winners, 1 in 3 will be broke within 5 years of their winnings. The religious schemes are amazing. They will preface their statements with scriptures and tell you to give your money to them and their organizations, then use specific scriptures as a ploy or ruse, to tell you to wait, be patience, have faith and you will see riches like never before. They distort the scriptures. These religious schemes will also us scare tactics to tell you that if you do not invest your finances with them, you will not be blessed financially. Where is the scriptural verification and empirical evidence that correlates with giving money to religious organizations, and as a subsequent result, gaining financial capital, tangible assets and generating revenue growth for each person that gives? The "religious schemes" do not actually use financial scriptures that would correlate and benefit your finances for everyday living. Of course in any of these schemes there is no return investment and no one ever becomes rich except those who have convinced millions of people that it will work after they send all or most of their money. 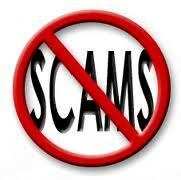 These Money Making Schemes know that you will never have the riches and wealth that they are promoting. Individuals will never have financial stability by giving their resources to other people based off a false promise. If these so called investments are a sure thing, guaranteed to work 100% of the time, here is the real test; Ask those scam artists or businesses who want you to invest, to sign a legal contract with lawyers present. If you invest your money and the return will be 100% of riches and wealth as they say, let them sign a contract saying so. 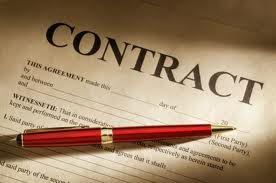 Let one of the stipulations in the contract be that if you do not receive the 100% return after following everything to the letter of what they have told you, they can be sued by you. Guaranteed, no one including Scam Marketing and Scam Religious Investments will want to partake. WILL MORE MONEY BE A RESOLVE? 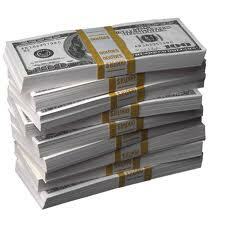 People think if they receive more money they would be able to get ahead financially. That all depends on the person. I have a saying that I use: “If you can manage a small amount of money, you can manage a large amount of money.” “If you cannot manage a small amount of money you will never manage a large amount of money.” You have to have Business and Financial Acumen which means surrounding yourself with professional people in the field of business and finance. We are in charge of taking personal responsibility. Everyone's financial situation is different. If a person loses a job, gets divorced, gets sick , moves out of town, may cause change in their finances. If a person gets promoted and they are in a higher tax bracket, will cause a change in their finances. Some people have never sat down and financially planned anything, because they believed they needed tons of cash to do so. We have to start from where we are, and work to create a financial plan that works for our present situation to give us current and future financial stability. Everyone is going to have a different set of needs. Managing money is all about our mindset. How we invest, shop, save, spend, keep, and be responsible for our finances now, will show how we will do when we receive financial increase. 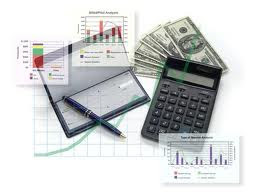 Using technology and creating our own spreadsheet is one of the many areas of becoming financially empowered. You will be able to see what income you have verses what you need to spend. Many people just spend money and never know where it goes. Financial Empowerment means you know and can visually see on your spreadsheet, or whatever you decide to create to keep records on what is going out and coming in. Create whatever will work and Empower you about your finances. If you need help on managing your budget, income, retirement plan, savings, investments, you should seek out professionals in those areas. I emphasize seeking out professionals and taking personal responsibility. The money making schemes are in business to tell you all you have to do is invest a certain amount of money to them, then they will tell you they can take your money to a high level of increase, where you will become rich and wealthy. When you sit down with reputable people and businesses, none of these professionals will tell you that you will get rich overnight. They will sit with you and go over a list of objectives, depending on what you want. Each of the professions will work with your needs. They will give you direction and planning. Have an idea of what you are looking for, so they can make plans and suggestions to fit your needs. It is worth it because financial planning will empower you to be in charge of your financial future. Financial Empowerment will be an investment that will benefit you and your family consistently.